General Landscape Uses: Primarily recommended for natural landscapes and habitat restorations. Also wildflower gardens in the Florida Keys. 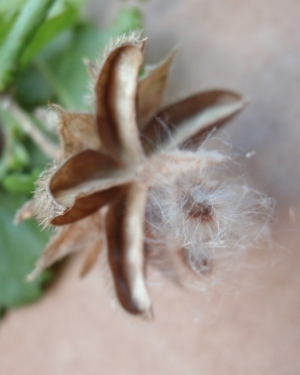 Description: Medium to large herbaceous wildflower, rarely woody at the base. Dimensions: About 1-4 feet in height. Usually taller than broad or forming small masses about as broad as tall. Range: Monroe and Miami-Dade counties; West Indies, Mexico and Guatemala. Rare in the Monroe County Keys, where mostly restricted to coastal rock barrens. On the mainland, known only from Long Pine Key in Everglades National Park in Miami-Dade County and the Loop Road area of Big Cypress National Preserve in Monroe County. Habitats: Rockland hammock edges and thickets. Soils: Moist, well-drained limestone soils, with or without humusy top layer. 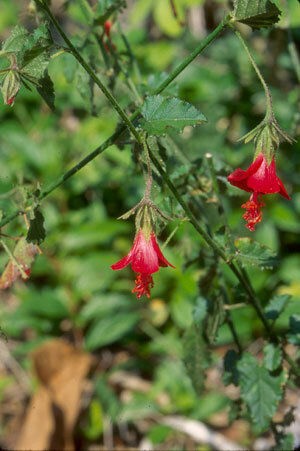 Flower Characteristics: Showy pendent flowers are solitary from the leaf axils, about 3/4" long. 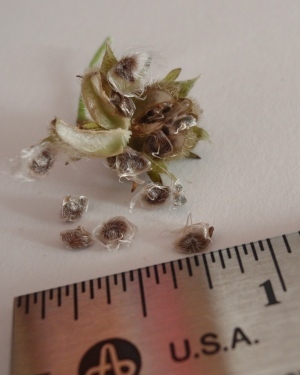 Fruit: Inconspicuous capsule with fuzzy seeds. Wildlife and Ecology: Ants feed on the flower nectar. Comments: It is listed as endangered by the state of Florida.